Younger looking skin is easier than you think with laser skin resurfacing. In just one treatment you can have a more youthful looking appearance with improved tone and texture of your skin. Achieve long lasting results without the pain or side effects associated with a more invasive surgery. Best of all, you will still look like you – only better! Get Smoother More Youthful Looking Skin! As we age we often see creases and lines form on our face and around our eyes. There are many factors that cause the formation of wrinkles but many include age, lifestyle choices, sun exposure, and genetics. As we age our skin becomes thinner and our collagen & elastin production slows, forming these unwanted lines on our face and body. We use an advanced skin resurfacing laser from Cynosure® , the leader in aesthetic lasers. 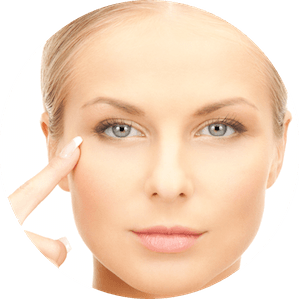 The Smartskin+™ delivers a series of fractional laser energy beams into the skin. These energy beams penetrate the skin and remove old and damaged skin cells. After the treatment the body will naturally build new healthy cells to take the place of the cells that have been cleared away. In addition, the laser stimulates the production of new collagen deep within your skin, giving you a more youthful looking appearance! You will have an improvement in both tone and texture, resulting in younger looking skin. Treatment plans can be adjusted to fit everyone’s lifestyle – speak to your provider regarding desired downtime, comfort, and results!